Length overall: Bumper to bumper 152", body only 130"
14August2018 UPDATE: Earliest known owner of this Milburn was Forrest R. Clouse of Auburn, Indiana. He purchased the car around 1929 and kept it until 1962/63. The car is listed in the 1957 Antique Auto Registry's Milburn section. 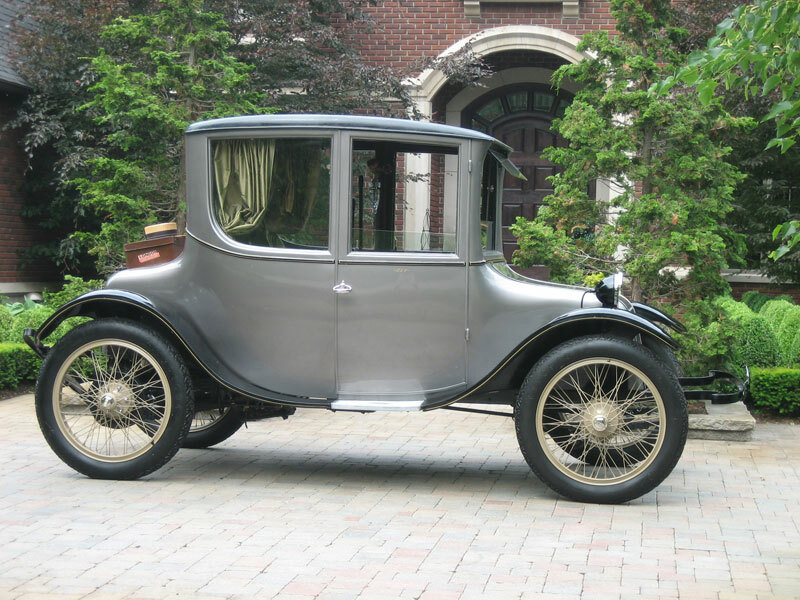 It was listed as a 1922, 4.5HP, 4passenger Fully Restored Milburn owned by Mr. & Mrs. Forrest Clouse. About 1962, Col. Donald E. Wolff purchased the car and kept it himself for 43 years or so. He then sold it in December 2005 to James Cousens who did a frame-off restore of the car, changing the color from blue w/black fenders and embroidered interior to silver with black fenders, gold interior. This Milburn was next seen in Houston, Texas, owned by attorney John O'Quinn as part of his collection called O'Quinn's Classic Cars. After O'Quinn's tragic death, the car was sold at auction by RMAuctions in 2012 and has been for several years now in the collection of the Tampa Bay Automobile Museum. "It had been a national first place winner in Hershey, Pa, and I've had tremendous pleasure with it throughout these years. It took a woman almost 5 years to create enough hand-worked needlepoint to upholster the interior, the remainder of which is a plush mohair. The car also boasts silk curtains and 8-inch crystal vases on either side, usually containing seven sweetheart roses in each. Eventually, the entire car was rebuilt. And it looks and runs pretty darn well. A real eye-grabber! It has appeared in several local parades and car meets. Since it is so unusual and unique, it always wins First Place or Best in Show. The only difficulty I've had with the car is that once, a few years prior, while climbing a steep hill, my Sangamo meter burned out. I have tried for years to have it repaired or replaced, but to no avail. A friend and I are trying to install a new state of the art meter, which will give us the information that was formerly supplied by the Sangamo meter along with other interesting data."